Oh, Creator of Autumn. 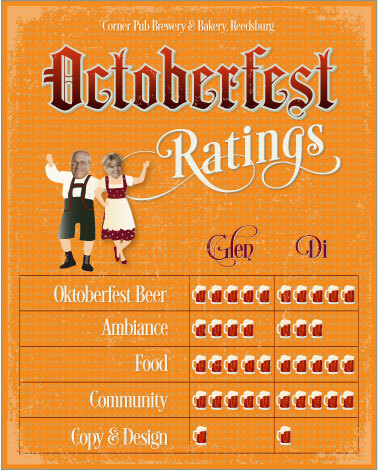 Could you have given us a more glorious beginning to our Octoberfest Beer Tour? I think not. 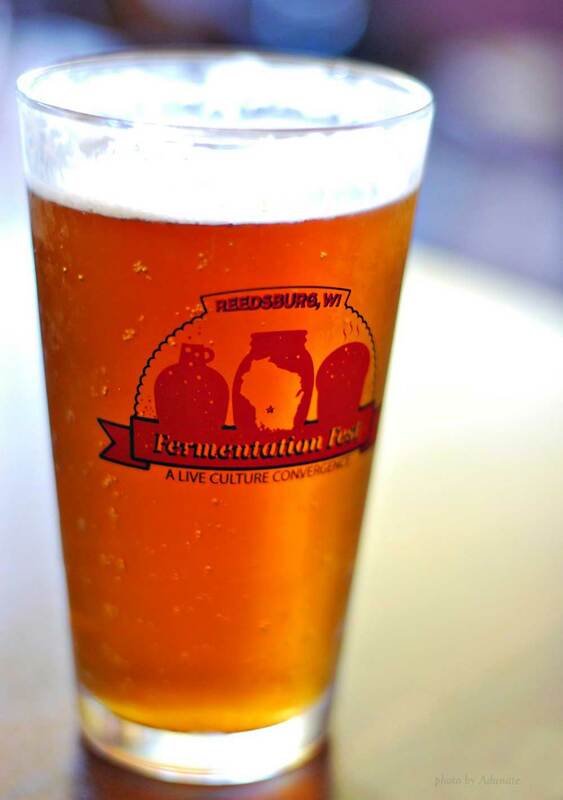 On Saturday we launched our tour in the most appropriate of ways—attending the Fermentation Fest in Reedsburg, Wis—and I must say we couldn’t have had better weather. We did the Art D’Tour in the afternoon and the Food/Drink D’Tour in the evening. Both events were great! I am so proud to have done work for this remarkable organization (don’t worry, I’ll cover it in full in the weeks ahead). In the meantime, let me share with you the first stop on our Octoberfest Beer Tour. 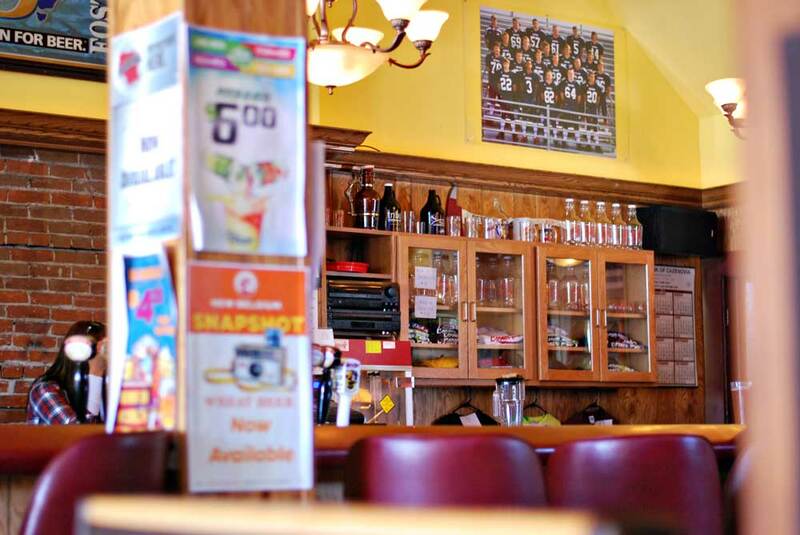 Before starting the art tour we stopped for lunch at Reedsburg’s Corner Pub Brewery & Bakery. Let me preface with the understanding that Wisconsin pub fare is an art form all its own. Think of burgers that only a well-seasoned grill can sear. Or any-food-imaginable deep fried to a beer-complimenting delight. The Corner Pub meets the mark. Delish! The Corner Pub is the oldest operating tavern in Sauk County. Pointing to the steps right behind our booth, the friendly server told us owner Pete Peterson brews his batches two barrels at a time right there in the basement. Her welcoming conversation is noteworthy because the place was packed with Fermentation Fest-ers. Tapping, I mean topping that off, we loved the Oktoberfest beer! So yes, the Corner Pub’s Oktoberfest is everything I enjoy in a beer. I like its smoothness and depth (I never could handle carbonation). It’s not over-hoppy. 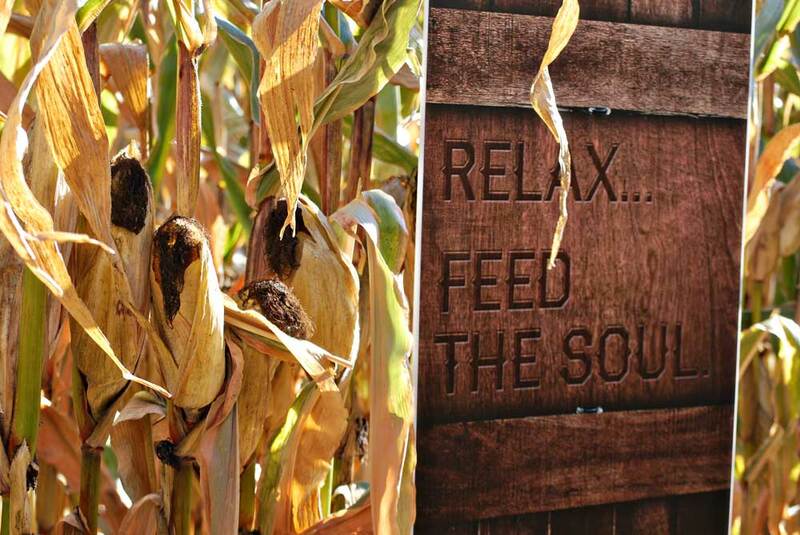 Simply put, it tastes very much like the autumn richness we enjoyed that afternoon. 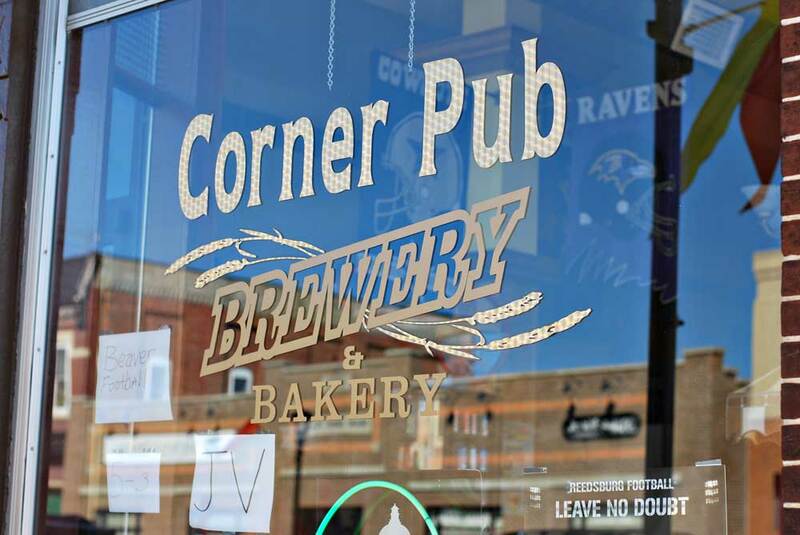 Saturday evening, the Corner Pub was one of the fine breweries tempting our taste buds at the Fermentation Fest Food/Drink D’Tour. I liked the pub’s Cream Ale and Weiss. My husband was so-so on its Saison, but he really liked the Bourbon Scotch Ale. Ambiance: Kudos that Corner Pub makes its home in a historic Main Street building. The pub is decorated with interesting memorabilia and fun sport souvenirs. Community: My 5-stein rating encompasses all of Sauk County. Such a beautiful area and so much to do! Copy & Design: The pub’s Facebook page Corner Pub Rocks gives it a fun online presence but, really, we’d love to read more about those tasty brews! Corner Pub needs a website—I can help you with that, Pete!